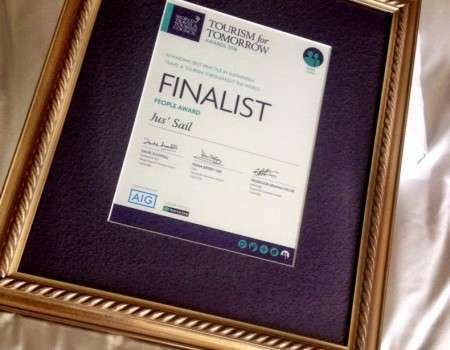 Jus’ Sail is one of only a handful of Caribbean companies to have ever reached the finals of the World Travel and Tourism Council’s Tourism for Tomorrow Awards. 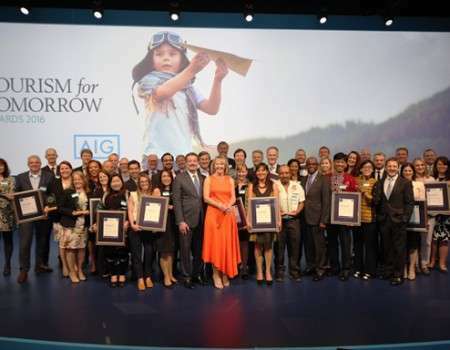 These global awards with over 160 entries from all continents “are aimed at recognising best practice in sustainable tourism within the industry globally”. Jus’ Sail are therefore rightly proud to have been awarded as finalists in the People Award, for our work training unemployed local youth to sail and gain access to the island’s marine sector. 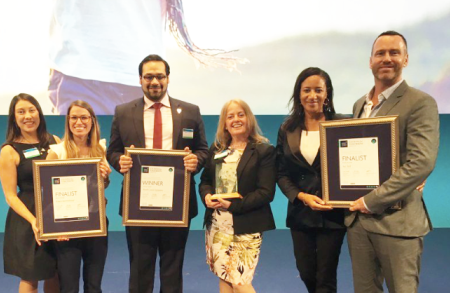 There were some truly inspiring companies, groups and individuals in the Tourism for Tomorrow finalists. So many different companies doing such great and worthwhile work. 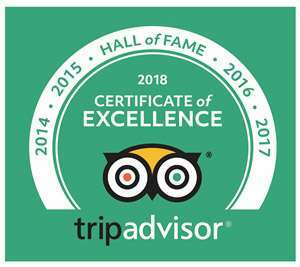 From energy efficiency at Alcatraz Island and carbon neutral whale watching trips in Iceland, to critically endangered Rhino preservation in Zimbabawe to community tourism development in Cambodia, a huge variety of amazing people doing great stuff. We were humbled to be among them. 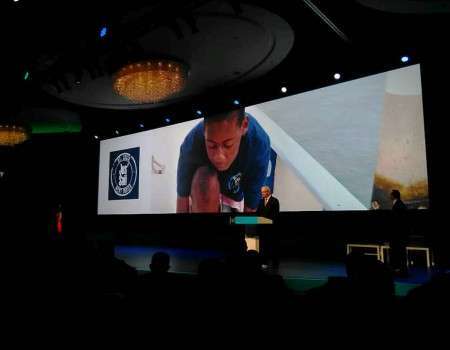 It was a proud moment for us when we saw our own imagery up on the big screen in the main auditorium, including photos of our students in action… Flying the flag for tiny St Lucia on a global stage that had previously in the week had the likes of Fabian Cousteau (Aquanaut and environmentalist), Bill Marriot (Marriot Hotel CEO) and Stephen Sackur (BBC Hard Talk) on stage. So what difference has it made to us being recognised in this way? 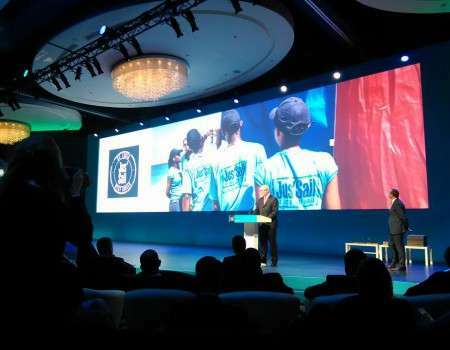 Well the most tangible thing is that it has shown us that the efforts we have made in youth education and empowerment are valued by the wider tourism industry and that we are on track with being innovators and leaders in the field of sustainable tourism in the Caribbean, a region which has not been well represented at this kind of award in the past. We also learned a great deal from our other travel professionals and awards finalists. Some amazing stories of businesses and ventures being grown from tiny acorns into large trees that are affecting not just a few but 100’s of individuals, families and communities. It inspires us to keep going and keep focussed on affecting more positive change. Join us for a sail and you will be making a contribution too, as well as having a wonderful and memorable time on the water! Gros Islet, St. Lucia, W.I.